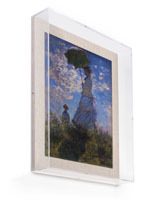 Do you have something really special you want to showcase for all to see? 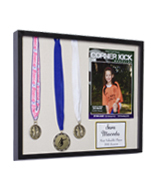 Shadow box display cases showoff exclusive merchandise or collectible items like sports memorabilia with an instant allure that captures attention! Our frames for collectibles are a great way to add a certain “wow” effect and touch of personality to any space. 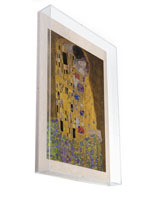 What’s better than showing the world the best pieces in your collection? 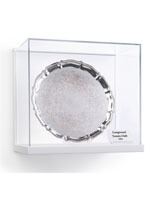 Each shadow box display case is designed to proudly display sports memorabilia or figurines securely under a glass window or inside of open shelves in a manner that best protects your items. 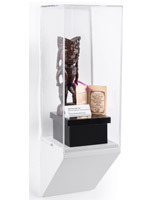 Don’t lock away your proudest possessions in storage where they’ll collect dust and never be seen again!, Instead, organize your figurines, shot glasses, sports keepsakes or retail merchandise in a sleek memorabilia display box where your customers and friends will quickly take notice. 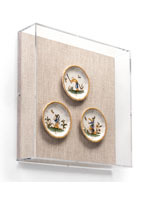 As opposed to a typical picture holder, these souvenir frames usually feature a deeper interior area with or without shelves, allowing you to include multiple items or larger collectibles in your exhibit. 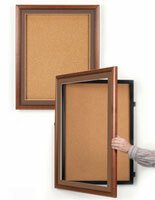 The best feature of a shadow box? 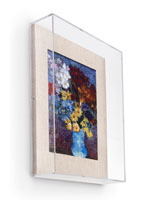 Well, the world is your oyster — you can customize your display to your heart’s content! 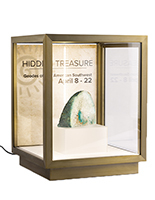 What are shadow box exhibits used for? 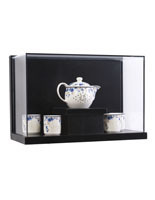 Shot glass display cases feature a tempered glass door and shelves with adjustable shelf height to accommodate single or double style glasses. 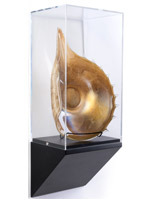 How are collectibles exhibits used? 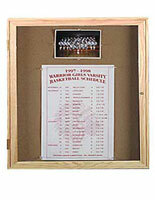 Our merchandise frames can be used to present a variety of items in an easily customizable fashion. 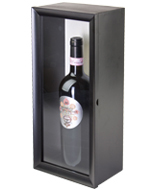 When used in retail environments, these upscale shadow boxes can give your products a particular high-end appeal that entices customers to buy. Travel agents can get customers thinking about the memories they’ll make on trips and vacations by hanging postcards, souvenirs, maps, or guides inside of a deep display box. 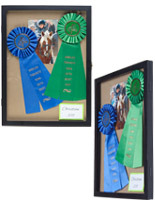 Memorialize veterans or family members who have served by proudly arranging military flags, military medals, an American flag, ribbons, and more. Are you a recent graduate? Remind yourself of your greatest accomplishments by assembling your cap, gown, diploma, tassel, and cords. 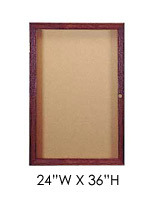 Proud parents and grandparents can use a shadow box to present family memories and awards such as sports trophies and medals or scout badges. 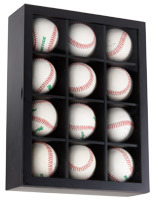 Other sport related items would also look great in this memorabilia display box... (think jerseys, signed baseballs or an official certificate of authenticity!) 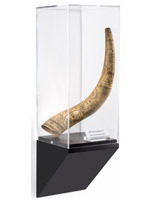 Whatever the focus of your collection is, our souvenir showcases deliver endless options for creatively displaying your most valued treasures! 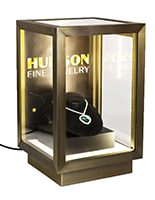 When hung in commercial or public environments, these custom exhibits make it possible to promote and advertise a wide range of merchandise, events, and activities. 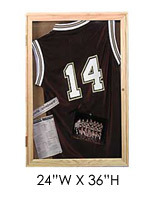 For example, each merchandise display frame has the ability to hold theatre posters, programs, drama faces, and other promotional items. Malls, offices, and other retail settings commonly use one of these frames for assembling advertising displays. If you want your marketing materials to stand out in a crowd, you have to deliver a memorable visual experience. This type of unique advertisement fixture has the ability to create a powerful and noticeable mixed media display. 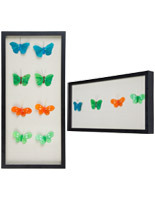 Each cabinet can be arranged with ribbons, streamers, boarders, and other elements to make an eye catching board. 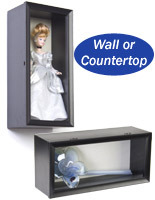 Each large collectibles cabinet is constructed with varying depths for use with a variety of objects. Whether the unit measures 2" or 4" deep, it is likely that you will find a size to fit all the collectibles you want to show off! 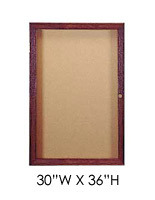 With viewable areas ranging from 24" x 36" and 36" x 48", these frames provide enough space for any and all projects. 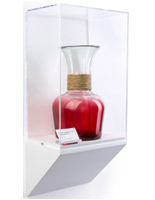 There are two possible ways to prop a large shadow box exhibit with supplies. Some frames feature a hinged door that swings open easily when unlocked and tightly closes using small magnets. 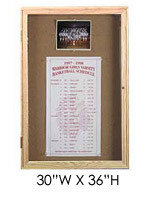 Simply open the frame and arrange memorabilia in the desired presentation before closing and locking the hinged door again. 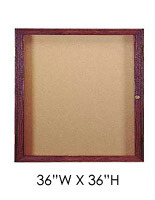 To place valuables inside of this shadow box frame, unlatch the back of the case and pull out the back panel. 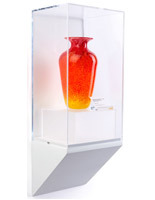 To shop many other styles of retail fixtures and glass display cases, view the entire Displays2go online catalog! For additional tips and tricks, check out our guide on How to Get the Most Out of Your Retail Store with Visual Merchandising.